New home for UK Baha’i archives? 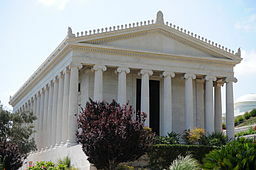 American Bahá’ís have an impressive National Bahá’í Archives, while the Bahá’í International Archives was first of the buildings to be erected in the Arc, the Bahá’í headquarters buildings in Haifa, Israel. The archives of the British Bahá’ís may have a new home shortly. The website of the Wilmette Institute, a US Bahá’í centre, reports that the Afnan Library is due to move into a former Baptist chapel in Sandy, Bedfordshire. The Afnan Library was established in the will of Hasan M. Balyuzi (1908-1980), an eminent scholar and a descendant of the Báb to be a central research resource for the Bahá’í faith in Britain. It is currently in temporary housing. The report suggests the new Library will house 10,000 books, ‘vast quantities of manuscripts, handwritten letters, maps, documents, periodicals, and unpublished items’ and also temporarily hold the archive of the Bahá’í National Spiritual Assembly of the UK. This entry was posted in British Religious History, Religious Archives and tagged archives, Baha'i faith on 8 October 2013 by Tim Powell.